The love between sisters is immeasurable. Give Personalized Sister gifts with this Sisters Picture Frame to display the love and friendship you have for one another. Be sure to include your favorite photograph as well to complete these one-of-a-kind gifts for sisters. Your Personalized Sisters Picture Frame comes in three sizes, choose from, 4"x6, 5"x7" and 8"x10". Easel back allows for desk display. Includes FREE Personalization. 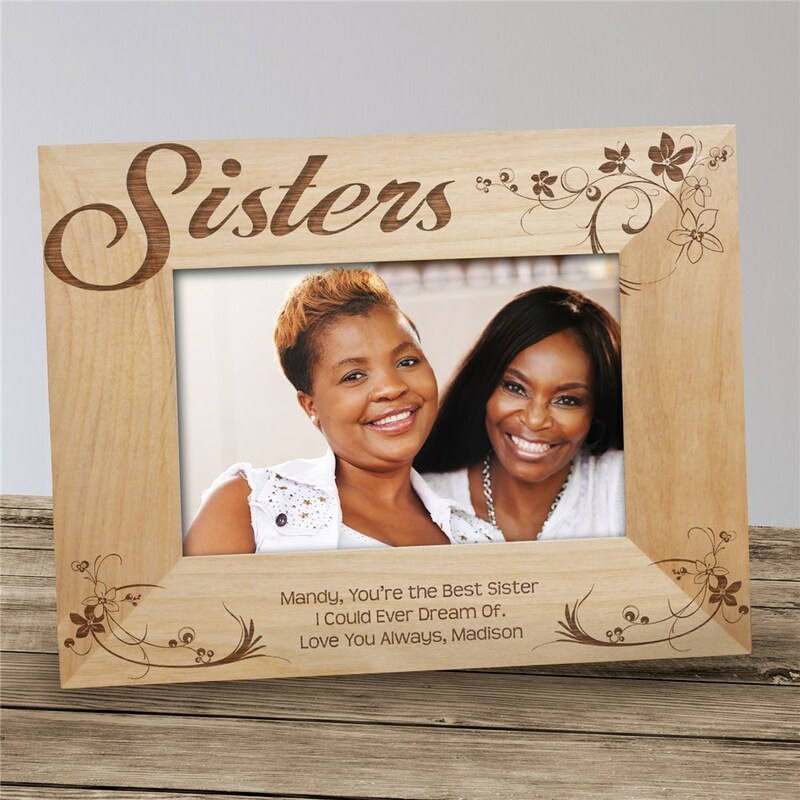 Personalize your Sister Picture Frame with any three line custom message. The frame was personalized just as I asked and it was very well done. I'm very pleased with the product. I loved them both. I bought one for each of my sisters for Christmas. They are going to flip out when they see them. Additional Details Shop GiftsForYouNow.com for all your Personalized Sister Gifts. We offer a wonderful selection of unique and special sister gifts suitable for her birthday, anniversary or special occasion.